Passover is all about retelling the story. And what better way to celebrate than to enjoy this modern day interpretation of an old story. Our Passover gift to you! This Passover-themed parody of Uptown Funk by Six13. It is so catchy, it just might get stuck in your head all through Passover, which begins the evening of April 3 and ends the evening of April 11. The Recorded Sound Archives has compiled a mix of Passover songs that the whole family can enjoy. From Cantorial splendor to children’s play-songs, music expresses the heart of the Jewish people. Give Jewish music a special place in your home for the holidays. In the past we’ve highlighted each album, individually, this year we’ve created a special collection featuring all of our passover music: https://rsa.fau.edu/passover-collection All the songs in this compilation can be heard all year long on the RSA website. 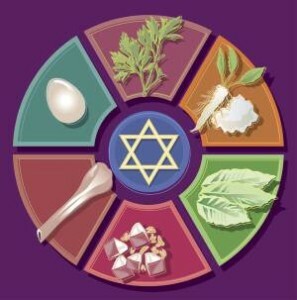 During the High Holy Days Jews around the world congregate to experience a sense of spiritual community. It is a time of family gatherings and happy times juxtaposed with introspection and solemn prayer. In choosing the music for this year’s JSA High Holy Days Music Mix we wanted to highlight the voices of cantors who have devoted themselves to perfecting their art. The High Holy Days has inspired some of the most beautiful and compelling Jewish sacred music ever recorded. On this album we feature such legendary cantors as Leib Glantz, Leibele Waldman, Gershon Sirota and Moishe Oysher. We also highlight the interpretations of some of today’s finest cantors. This special mix of songs has been excerpted from albums which can be heard any time on our website. The mix includes light-hearted, yet meaningful, songs for children. It also includes some of the most beautiful cantorial music ever written. Enjoy! Click here to hear all 18 songs or to listen to your favorites. These songs are for your listening pleasure only. They may not be copied, reproduced or sold. Excerpts of selections from these albums were used to create the JSA High Holidays Music Mix 5771. Click on any title to hear the entire album.